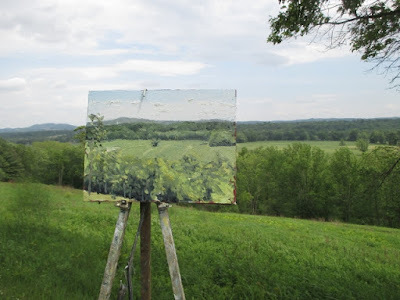 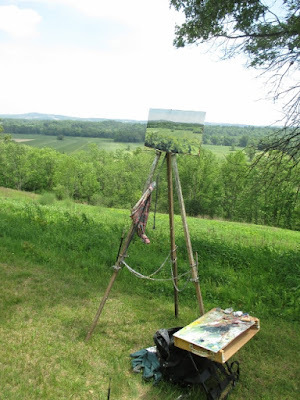 Matt Chinian Painting Blog: Saratoga National Battlefield; mixing green. 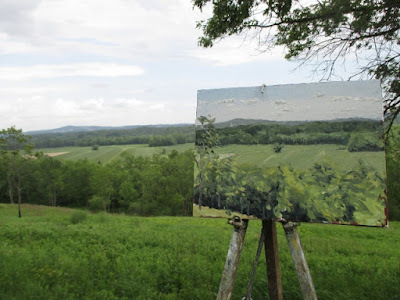 84 F clouds, thunder storms threaten. 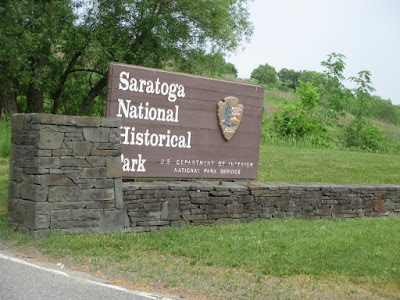 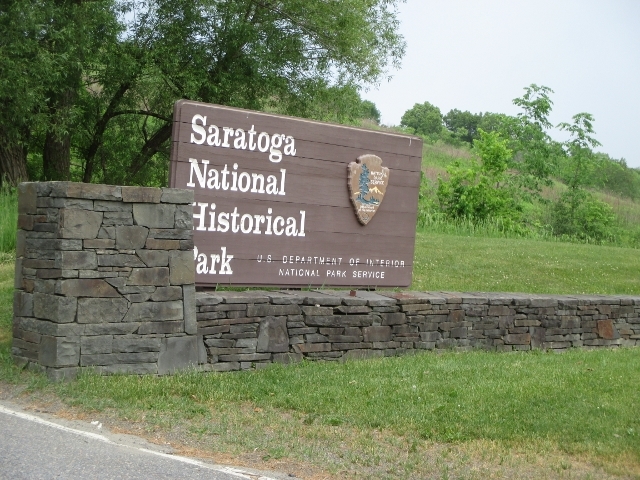 The Saratoga National Historic Park had a plein-air day, so I got into the park for free. 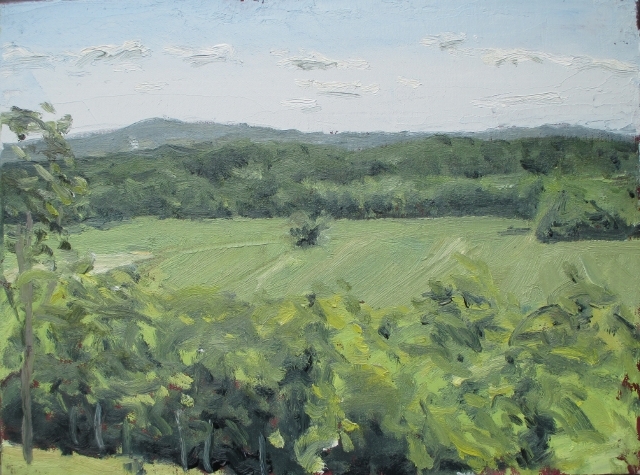 There is green everywhere, here too. so when I go about to put some green down, I'll mix up some and think to use it in a spot, here the middle hills, I put it down (splotch in the middle) then compare it to what I'm looking at, I notice that it's not right, it's too bright, it has too much color, but I then notice that it might pass for the wall of trees in the foreground, so I put it there. 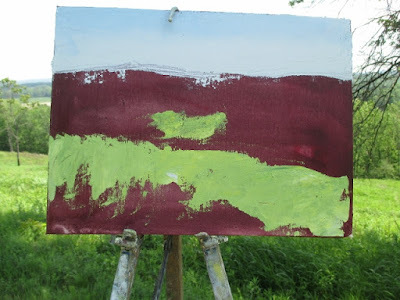 When I go to mix middle hills, I grey down the green some more, being aware of the difference between it and the first mix. 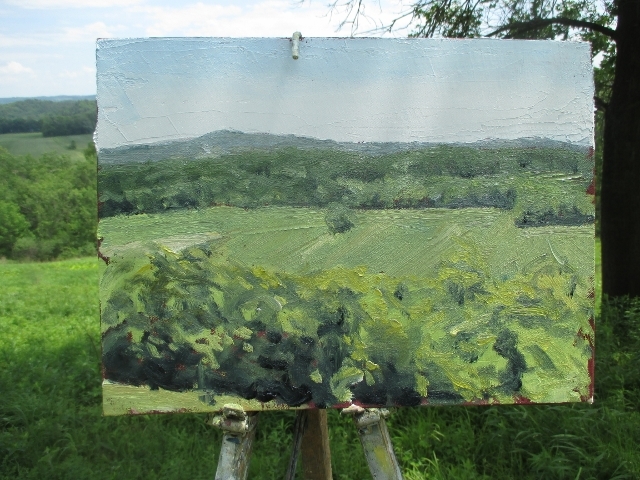 The wind was blowing so I had to spend some time holding down my easel, and didn't take a lot of photos. This is at the end of the session, the wind was picking up and a few drops had started. The "Money Shot" for today.